They are finally ready!!! After many late evenings toiling away in the kitchen our newest range is available for you to order. They kitchen looked a bit like Willy Wonka's Factory as we blended chocolates, tried out different toppings, and perfected patterns. All the hard work has been paid off because this new range looks and tastes delicious, we have had a few tasting parties. 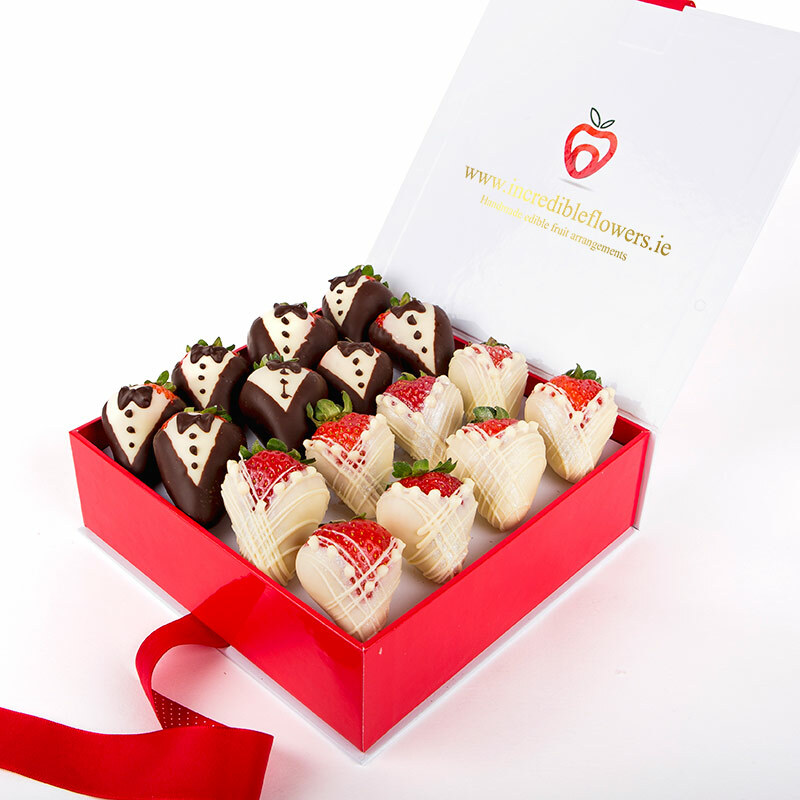 Berry Boxes are new to Ireland and only available to IncrEdible Flowers customers - you lucky people! So, what are Berry Boxes? A Berry Box is a handcrafter masterpiece. Time, dedication, and care goes into everysingle strawberry. No two boxes are the same; each selection uses unique patters, chocolates and toppings. We choose every strawberry individually, only the ripes, sweet scented, juicy strawberries get dipped. The chocolate is gently crystallized until smooth, firm and velvety, the perfect temperature for dipping. Each strawberry is fully immersed and left to cool down or sprinkled in a light and tasty topping. 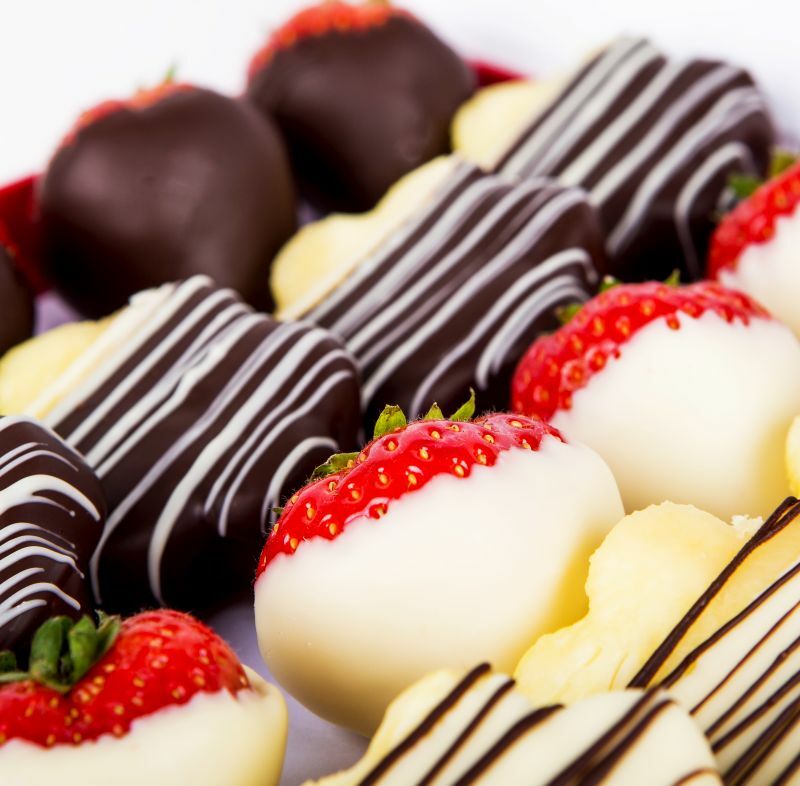 The chocolates we use are exceptional, we source the finest milk, white, and dark chocolate available. The same can be said for the toppings. You can be guaranteed that every ingredient used is of the highest quality. It is not just strawberries, if you love the crunch of chocolate dipped apples or juiciness of sweet pineapples we have a box just for you. Our range of toppings include milk vermicelli, dark chocolate flakes, smooth semi-sweet chocolate, almond flakes, chocolate swilrs and coconut. You can even choose a fun Berry Box just for kinds. If you like a certain blend of chocolate let us know when you order and we'll create the perfect blend just for you. You don't know which one to choose? Our Berry Box Premium and Berry Box Deluxe offer a combination of the most popular toppings on our full chocolate selection. 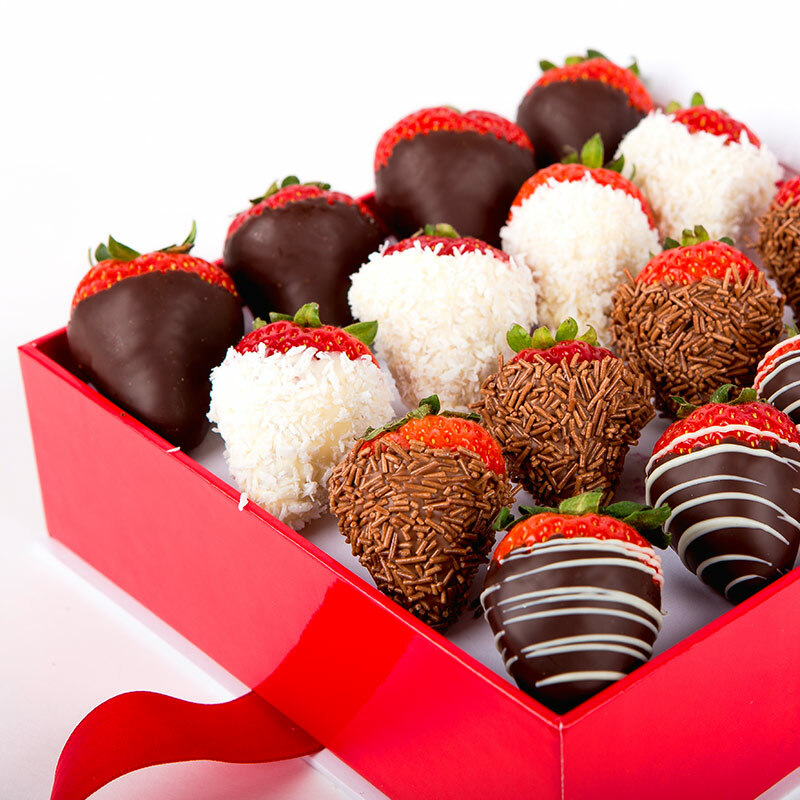 Aside from looking stunning and tasting delicious each Berry Box is a super versatile gifting idea. It lends itself to almost any occasion, although some people have commented that they are make the perfect romantic gift. Buying the perfect gift can take time. You want it to be unique, but don't want to risk something that will disappoint. 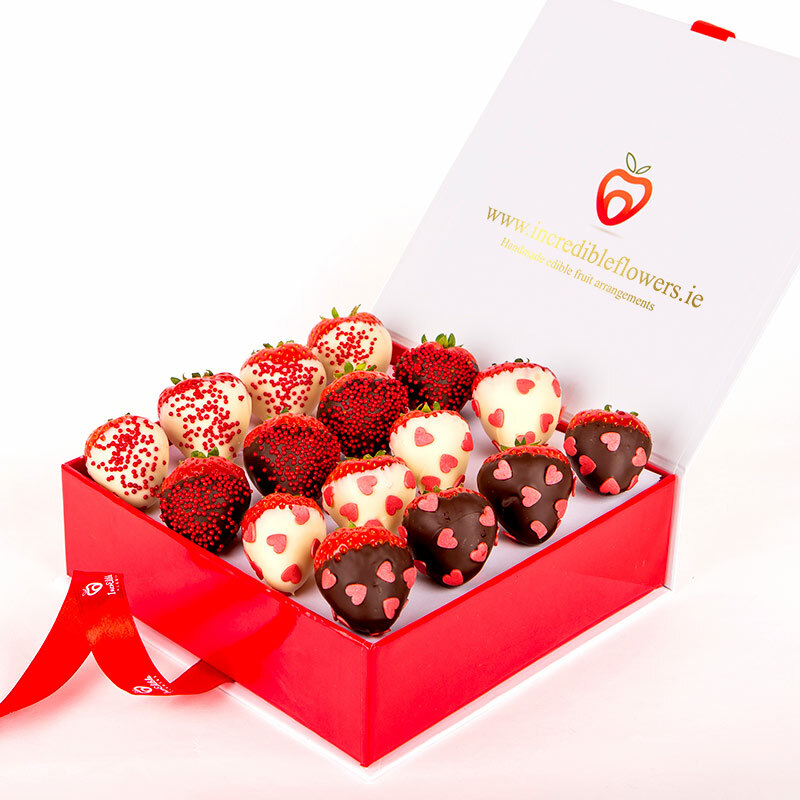 A Berry Box is absolutely unique and who would not want chocolate dipped strawberries for a present? Anniversaries - keep mentioning Berry Boxes, he might catch on. Bridal showers - celebrate her final days as a single lady with something delicious. Perfect wtih prosecco! Easter - way better than chocolate eggs. Valentine's day - gift to him and eat yourself. Just because... they are delicious! Vies the Berry Box range and find the perfect gift.